When pipe bursts, sewage spills, ceiling leaks, or flooding cause trouble at home, 911 Restoration Westchester is the company that will provide you with a fresh start through quality water damage repair and restoration. Our water damage Harrison specialists are trained and ready to patch up those problems so you can get the fresh start and peace of mind you’ve been looking for. 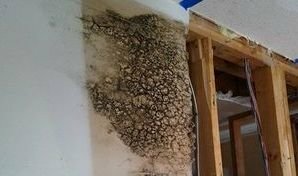 When your home is under strain due to the presence of leaks, it’s important that it be patched up as soon as possible in order to prevent any further complications such as wood rot and mold growth. So that you can get that immediate assistance, you can expect our water damage Harrison experts to be there within 45 minutes of your emergency call. We know that it can be very frustrating and confusing to deal with those leaks on your own, but you can rest assured that water damage Harrison technicians will be taking on your water issues for your convenience. Once our team arrives, they will perform a free visual inspection that will help us better understand the problem and offer you our expert recommendations on the best course of action. Our experts have over three decades worth of experience in handling all sorts of water damage emergencies like sewage spills, clogged gutters, ceiling leaks, pipe bursts, and water-based appliance hose ruptures. Together with our experience, we’ve undergone rigorous training in order to provide only the highest level of water damage repair and restoration. We’re available 24/7/365 so you can get the help you need exactly when you need it, even in the dead of night. Through our quick response and availability, 911 Restoration can make sure your home looks good as new in no time! Let the water damage Harrison experts from 911 Restoration provide you with a fresh start. Give our water damage Harrison team a call today!